Andre Abajian, owner of SoCal Removal, has developed a niche in Orange County, California. Public works experience in demolition contracting is in a region of it’s own. Andre first public works demolition was for the city of Yorba Linda a few years back. The project involved the demolition of a unique city block of residential and historic homes. Interestingly, the Yorba Linda Town Center demolition was originated by Zelman Development master plans of developing the depressed area into a brand new shopping center to be called the Yorba Linda Town Center. Through completion of this project, SoCal Removal has been fortunate to have gained much experience in the demolition and salvage of historic homes within Southern California. 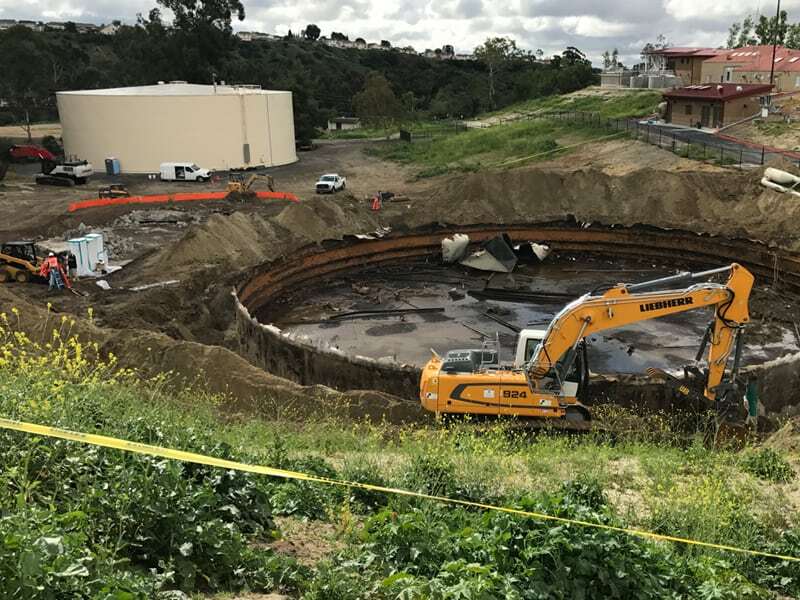 Realizing Orange County was and still is ready for a major face lift, Andre quickly saw opportunity in the demolition, sewer line caps, clean-up and site grading of aging mega-structures, especially water tanks. As a business owner, Andre’s first concern is safety. 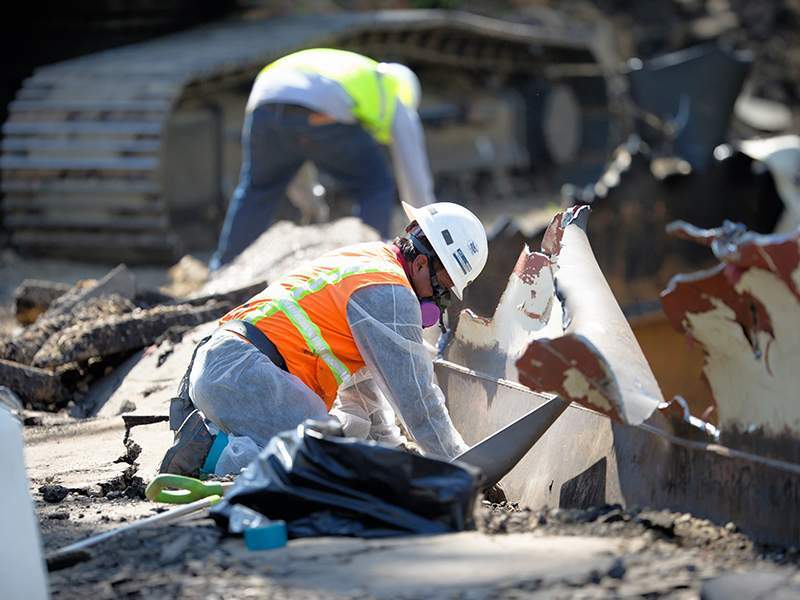 Every piece of personal protective equipment will be used when demolishing a water tank. “Vests, all the goodies will be brought out. It’s going to be a lot of fun!” Andre said with a grin. A good, responsible businessman knows to minimize risk. To the IRWD it demonstrated a responsible business. To Andre, it just makes good moral and business sense. The 300-plus page Project Manual presented included specific insurance and contract guidelines. SoCal Removal, needless to say, met every requirement. 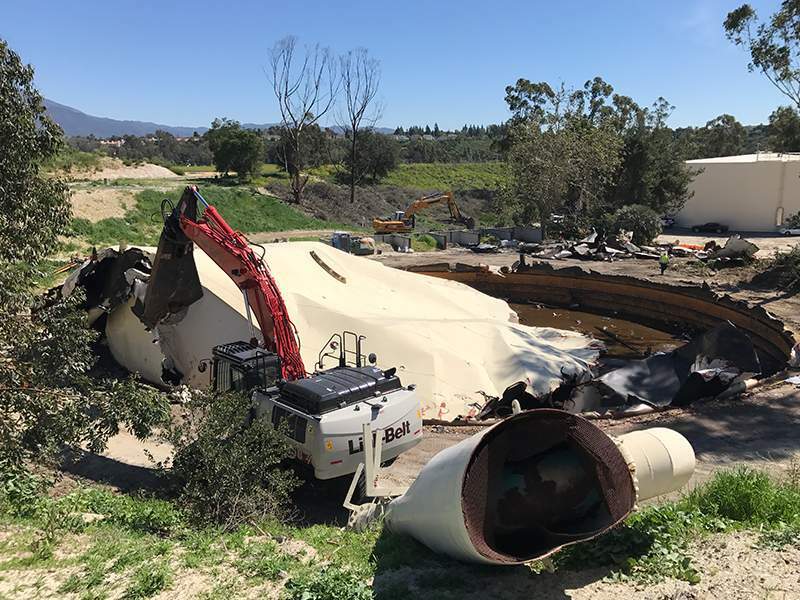 SoCal Removal completed the IRWD Reclaimed Water Tank Demolition and Site Clearing project in 2017. 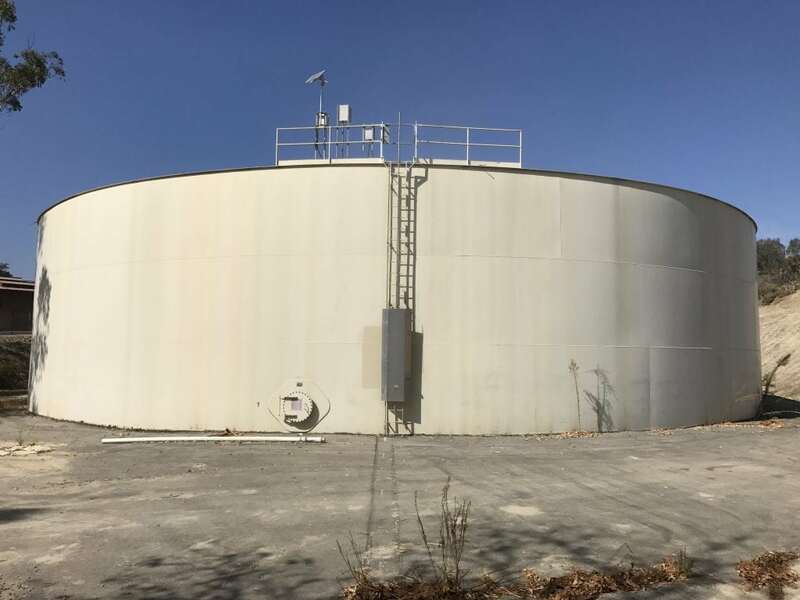 The project experienced some delays as the tank sat ten feet below grade with an asbestos hot mastic all the way down to the footing. Andre plans to further expand his expertise in the demolition of aging structures. Projects such as the demolition of the city block in Orange County as well as the IRWD water tank provided invaluable experiences. The massive undertakings which demand heavy equipment are Andre’s favorites. Contact Andre Abajian, owner of SoCal Removal, to discuss your demolition-remediation-renovation needs. 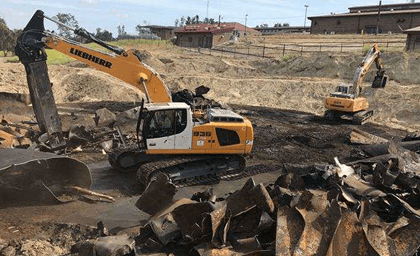 Whether it’s a simple cosmetic flip like the one SoCal Removal just completed in Aliso Viejo, or demolishing an entire city block like for a new shopping center project, which Andre successfully finished recently, SoCal Removal can handle it. Andre personally responds to each and every call. Contact Andre anytime at 949-446-0000 to discuss your project.